An Interview with Dr. André Carrington, author of "Speculative Blackness"
It’s a nice subversion, and extension, of the almost clichéd optimism of sci-fi. Star Trek, Asimov, Marvel, and other sf embraces a dream of technological and social empowerment. Carrington, though, turns that around; it isn’t technology that is going to save us all and change the world, it’s Blackness – or, specifically, the merging of blackness and science fiction. Carrington is a self-avowed, fan-fiction writing fan, and Speculative Blackness focuses mostly on the warhorses of geek culture — Harry Potter, mainstream comics, Buffy, Star Trek – none of which are particularly known for, or particularly successful in, their inclusion of black creators or black characters. But Carrington is determined to show that blackness is, or can be, or must be, central to all of them. For Carrington, the future of race in science fiction is a remembering, and recovering, of race in science fiction past. What does science fiction offer to black fans, in your view? Speculative fiction allows black fans, black audiences, and black critics, to tap into what we consider to be impossible in real life. And a part of that is that when you’re freed from the conventions of being realistic, then you can imagine anything. I think for a lot of black people, the limitations on our lives and on our imaginations are so radical. There’s a constant sense of, oh it would be impossible for me to choose any career I want, or, it would be impossible for me to never have to worry about racial stereotyping and constraints, or it would be impossible for me to participate in the same action, adventure, discovery, all the stuff that science fiction narratives offer. I think for so many of us, popular culture shows us mostly white people engaging in a whole range of things that are impossible in real life. And the idea is, what if black people could tap into that and say on our own terms, what if we did participate? Or when we see a character who looks like us, or a writer or an artist who looks like us, then it offers us a chance to do things in real life that we think are impossible, and to imagine what we could do if things were different. And what do black fans offer to or bring to science fiction or speculative fiction? Oh, the main thing honestly is knowledge. A deep, ingrained, inherited, critical worked over knowledge. Black people have to think about race and racism all the time. And we have to think about the way society works in racial terms. And we have to think about desire and sexuality and our bodies in racial terms. And most areas of popular culture, or any area of culture—literature, cinema—to the extent that they’re run by people who have had positions of power that have allowed them to exert artistic influence and ownership, those have been white people making those images and controlling those narratives. So they haven’t had to examine race critically, and they haven’t had to think about it. But black people bring that. We bring questions like, why is a black person the first to die in this movie? Or, why aren’t there black people in this utopian society in the future? Or what does it mean that there is a black person in this utopian society in the future? Those are all questions that I think black people are more prone to ask, because we ask them in real life. So we bring knowledge and we bring a critical perspective that wouldn’t be there if we weren’t there. The main thing that I hope the book communicates is that the science-fiction genre itself doesn’t necessarily lend itself to inclusion, dynamism, or radicalism. We have to bring those questions to any area of culture. No genre is going to do that without people making it meaningful in those ways. 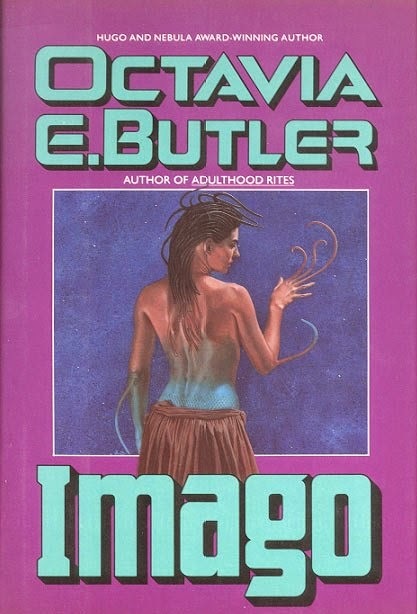 In terms of the science-fiction canon of literature, you don’t talk about major writers, like Octavia Butler or Samuel Delany. Instead, your discussion is more about popular culture like Star Trek and superhero comics. I was wondering why you made that your focus? I really appreciate how much people are able to learn from Butler and Delany and Nalo Hopkinson and Jewelle Gomez, some of whom are still with us, some of whom are no longer with us. But instead of an engagement with that body of work, I wanted an engagement with the story the genre tells itself about its history and about what it can do. And as far as that internal discourse is concerned, the ways that we typically look at what science fiction offers to readers and viewers is that people of all races or all genders or all sexualities can find a potential in it for liberation. Or a potential for identification and excitement in this area of mainstream popular culture, unlike others. So that’s the hope. And I think that that’s beautiful and wonderful. And I want to exercise that impulse in a way that strains it and gets us to think about, okay, if it can do that, how? And if if can’t do that, how do we make it do that? It’s not going to do that by itself. And I think that when we look to black authors to do that work, they can do it. When we look to black authors to learn from their examples, they can do it. But that’s their work, and on a certain level, I think that’s not a matter of saying, because these black authors have made important interventions, we can declare victory when it comes to this area of popular culture. The challenge and the critical task for me is to look at what we hope for in the genre and in the tradition that we have had to work with, in which those voices have been absent, and say, what can we do with this, taking it where we need it. Where can we take it from here? And the “we” in that sense is not necessarily these authors, but we who still have to work with the genre. Everything else is still there, even though Delany and Tananarive Due and Steven Barnes offset it to some extent. Everything that’s mainstream and somewhat canonical is still there, even if it’s offset. So I want to work through and question that canon, and say, what else can we make this mean, and what else can we learn from it? Rather than saying, okay, it’s not here, let’s go elsewhere. One thing you talk about is the superhero comic Icon, which was part of the 1990s Millenium Comics line of black-created titles starring mostly black heroes. 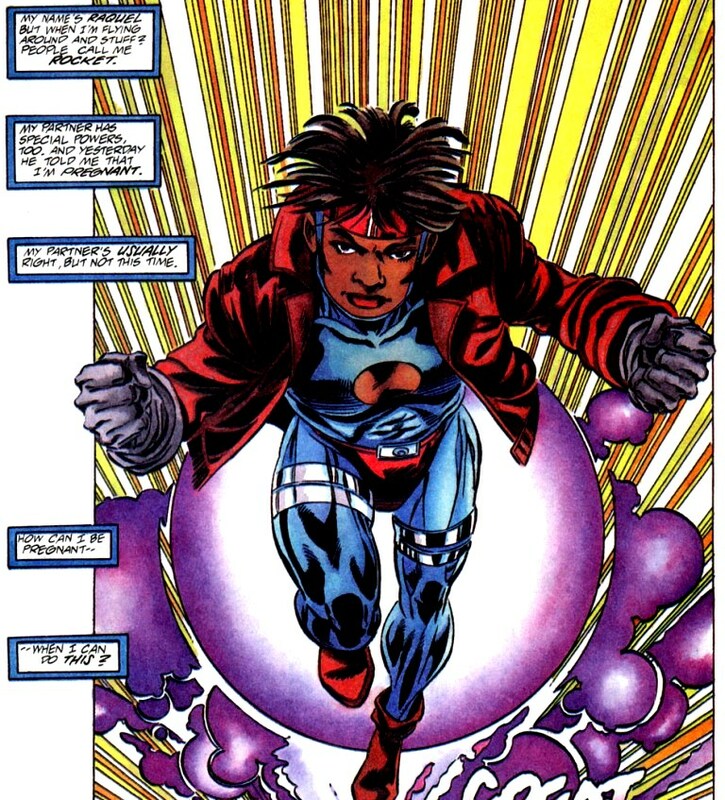 And you discuss Icon’s partner, Rocket, a 15-year-old black girl who becomes pregnant during the series. In talking about the way she was received by some readers and critics, you criticize the way that black people are made to embody realism, or assumed to embody realism. Do you see speculative fiction as an important resource for black creators to push back against that in that regard? One of the things Rocket says in her internal monologue, as these fantastical, alternate history events are happening, is, “I should stop reading so much Zora Neal Hurston and Toni Morrison, and read more Octavia Butler.” The author, Dewayns McDuffie, may he rest in peace, is able to put in the head of a comic book character something that is so different from what is in the head of other comic book characters. And it just totally alters what we imagine of comic books set in an urban environment, of comic books with strong female protagonists, of comic books where the hero is sort of like Superman. It’s a radically different take on that, and it’s a black take on that. It’s not saying, let’s bring real, grounded, everyday, social scientific, quantitative knowledge of black people’s lives to this genre. It’s not bringing realism to an unrealistic format. Instead, it’s saying, this is a kind of literature. Let’s bring other traditions of imaginative representation to it. And let’s not just bring them from black women who are categorically realistically grounded. But let’s instead say, what about the diversity of perspectives that exist among black women authors? Not just the diversity of experiences they have as real people, but let’s draw on other sources of inspiration, and let’s acknowledge that as black people we have the resources to do that in a complex and inspired way. You can bring resources and change around tropes and make these genres more thoughtful about black people and black lives, but doesn’t the genre push back to some degree too? 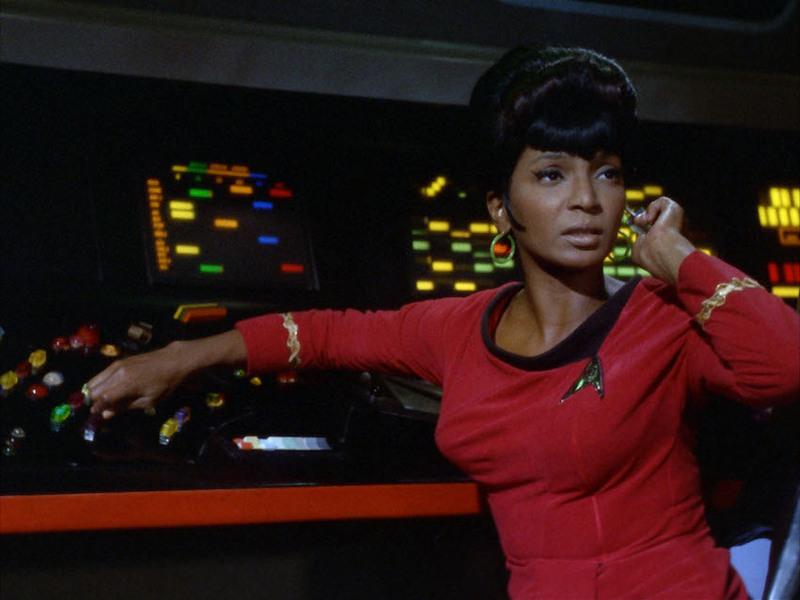 I’m thinking about in Star Trek, where you have a post-racial vision which, as with Uhura, led to a kind of tokenism where she symbolized diversity but, as you say in your book, didn’t get to do much. What you’re describing is a kind of ideological closure. That takes hold even in works that are meant to be imaginative and speculative rather than grounded and gritty and realist. And that constrains us in what can be represented. I try to challenge that closure in the book by naming it as the Whiteness of science fiction. And that’s the existing force that you work against to make this area of culture mean something different. Because of the whiteness of science fiction, we’re conditioned to think about marginalization in allegorical terms. For instance, the X-Men are mutants, and they represent racial difference, or difference in terms of gender and sexuality, or national difference, or disability and ability. 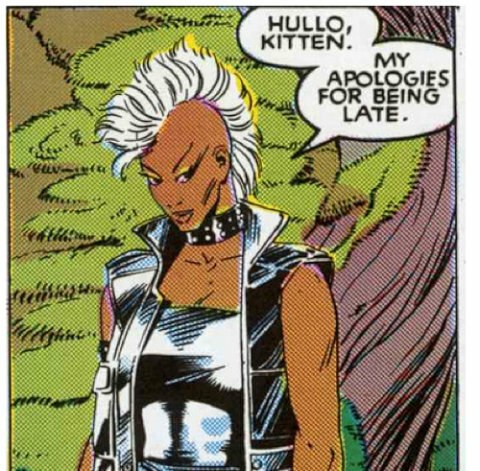 So one of the ways I tried to write about the character of Storm is to say, Storm is black. In the usual way the X-Men are read, the allegorical aspect of difference and marginalization is at the forefront, and you subordinate the discussion of blackness to the allegorical reading. The way to move beyond that ideological closure, I think, is to take seriously black feminist knowledge traditions, and intersectionality. And that tradition says that a person who is black and female and has some other kind of social difference experiences those things interacting together in a complex way. They don’t experience one taking the place of the other and one of them operating as if the other were not there. They layer onto one another and produce different and unpredictable results. By bringing another set of knowledge to these kinds of texts, we can, not surmount, but break into that ideological closure. We can say that the available meanings are not just the ones determined by the tradition in which it’s situated, but that they’re also amenable to interpretation. So is the goal to encourage black people to take things from texts even if those texts have problems in some ways? Well, I want to point out that people already do that. That people disidentify with the intended meanings of texts that are not intended for them. And we can learn from that, and we should continue to learn from that. But I also think it’s important that people who aren’t accustomed to doing should learn that this is happening. So white readers and publishers and writers and movie studios need to learn from the work and the play and the exertion that is done by readers for whom the work was not intended. And they need to think about how those people find satisfaction and challenges. People have been doing that anyway, and black people have been learning from each other’s efforts to do that. And people marginalized in various ways lhave earned from disidentifying with the script that they get from mainstream culture. Do you hope that when people are more aware of these kinds of readings you’ll get more different kinds of texts? Because you could also see a situation in which creators say, well, all sorts of people are already finding a way to identify with these texts, so we can just go on as we’ve always done. That’s really challenging. That’s a dilemma a lot of popular culture critics face. Because once we find ways to retrieve, or in Henry Jenkins’ terminology “poach,” alternative meanings from texts, it’s as if that satisfies the demand for things that do mean differently. But it doesn’t. Because that retrieving can be exhausting. And I think one of the ways through that dilemma is to say,yes we can retrieve alternate meanings. And we’ll pretty much always have to do that, even if the narratives in the future are different and more liberating and inclusive, even if the momentum shifts in that direction, we’ll still have the history, and we’ll still have this past to interpret in the present. And one thing I think is important about texts with a long tradition like superhero comics or like Star Trek is that they have to deal with the dilemmas that they’ve established. And they can do that well or they can do that poorly. So in the book I pointed to the example of the Deep Space Nine episode “Far Beyond the Stars,” where Captain Sisko, who is black, goes into the past in the 1950s where he lives or relives the life of a science fiction writer. And the question is, how do you think about race in the context of Star Trek, or how do you do it deliberately. So you have an African-American actor, and in an episode that he is directing, and the episode self-consciously presents itself as a work in the present gazing back at its own past. So in the past he’s in an all-white workplace, where he gets paid less. But he eats at a black diner, and he lives in a black neighborhood, and he listen to and plays jazz music, and he walks down the street in his neighborhood with little black boys, because that’s who lives there, and that’s how racial segregation works. That backward looking gaze at the era of the golden age of science fiction is really important, because it helps us remember that black people were around then; black people weren’t invented recently. But they were in fact inhabiting positions such as those imagined for this black science fiction writer. So one of the things that the critical self-reflective tendency that I want to encourage can do is that it can allow the material we’ve inherited from the past to not disappear, but to remain alive in a way that is reparative. We can continue to work on it and find what’s valuable in it, instead of relegating it to the past. Because the problem that that sets up is we can convince ourselves that things were awful in the past, so all that is awful is of the past, and we don’t have to worry about it now that we’re in an enlightened moment in the future. Which we’re certainly not. But I think we can only get that momentum to have more inclusive, more challenging, more appealing representation and imaginative work for people of color if we allow and if we encourage the canonical work to look at itself differently. You can find André Carrington on Twitter at @prof_carrington. 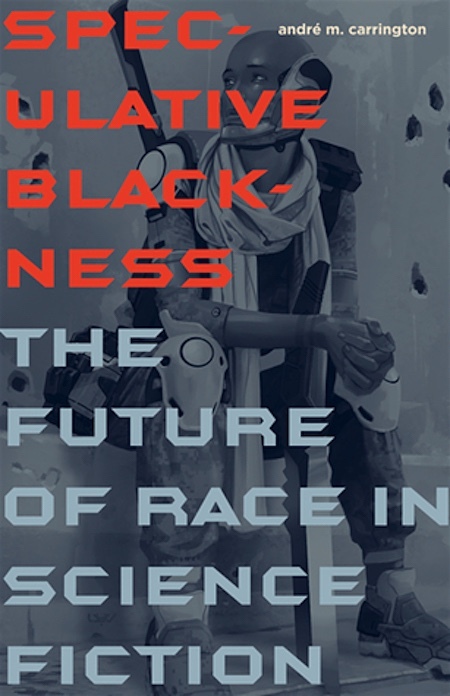 His new book, Speculative Blackness: The Future of Race in Science Fiction, is available now on on Amazon.